One in five American adults can’t pay their medical bills. And that sad number rises to about one in four for adults under age 65. 25% of those ages 18 to 50, and 20%of people ages 51 to 64 – currently have past-due medical debt. These unpaid debts aren’t necessarily for huge multi-thousand dollar bills either. One in six American families is faced with an unexpected medical bill each year, typically in the amount of about $1,143. 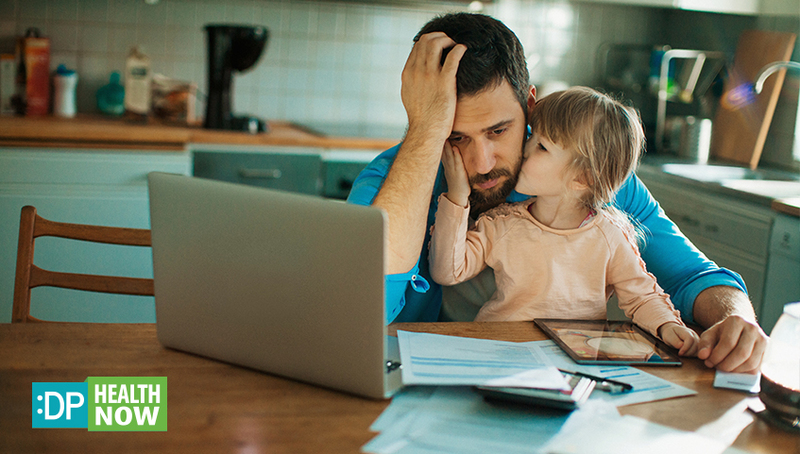 For most households, it will take over a year for their budget to recover from that expense, according to a poll conducted by The Associated Press-NORC Center for Public Affairs Research. What do most families do to manage these expenses? For many, the answer is to cut their budget to the bone. Some may look for part-time work to bolster their income. A few may even resort to crowdfunding, although 90% of the more than 2 million campaigns for medical costs on GoFundMe fail to reach their stated goal. Financial problems are the most common cause of chronic stress in America. Over time, stress has a significant impact on physical and mental health, causing even the best employee’s performance and productivity to slip. Helping employees to manage medical expenses is simply good business. Managing medical expenses effectively as an organization requires finding solutions for both current and past medical costs. Services intended to reduce the costs of existing medical bills address the financial problems that many employees may be currently struggling with, the issues impacting their wellness and performance. And providing access to cost-saving medical care now encourages employees to get the care they need right away, rather than waiting until an ailment becomes impossible to ignore – and far more expensive to treat. The most efficient options to evaluate are telemedicine programs and medical bill negotiation services. Telehealth undoubtedly saves money for everyone in the health care value chain – patients, doctors, hospitals, employers and insurance companies. For consumers, the average savings is $100 per telemedicine visit – assuming the typical $50 charge for a telemedicine consult compared to $175 for an office visit. There are other savings gained through telehealth as well. For example, employees take less time off work for doctor’s visits, eliminate travel time to the doctor’s office, and avoid wasting time waiting to be seen. Additionally, providing access to telehealth services can often replace urgent care and emergency room visits for non-critical care. While it’s certainly true that telehealth is not intended to treat medical crises, a significant number of people will head to Urgent Care or the ER seeking treatment for non-emergency issues when their primary physician’s office is closed. Telehealth can be offered through expanded insurance coverage, which covers part or all of the typical $50 fee for a telemedicine consultation. But with high deductible plans, it may take awhile for coverage to kick in for telehealth. The other option is to offer telehealth as a voluntary benefit. Voluntary benefits are comparatively low cost for both employees and employers, and can provide easy access to a multitude of affordable health solutions. :DP HealthNow, for example, offers unlimited, free telehealth consultations with locally-licensed doctors as well as benefits that include medical billing negotiators and healthcare advocates to help employees manage their healthcare costs and concerns. Telehealth is increasingly expected to be part of a competitive benefits package. Employee benefits consulting firm Willis Towers Watson projects that 71% of employers will offer telehealth benefits to their employees by the end of 2017. The problem is that spotting these errors may require expertise that many people simply don’t have. And that extends to negotiating medical bills. Few people would know how to make a convincing argument about what level of care – out of the five levels available – was provided during their emergency room visit when even doctors struggle to understand proper billing procedures. Other common billing errors can include billing the patient for costs covered by their insurance, billing the patient for another patient’s charges, billing the patient for tests that were cancelled or rescheduled, billing by both the hospital and the specialist for the same procedure or treatment, and billing for a total cost when a down payment had previously been made. Costs associated with hospitalization or emergency room care that are charged to patients come from hospital “Charge Master” which contains the costs for thousands of procedures, processes and products. But the Charge Master is more of a “manufacturer’s suggested retail price” and can be negotiated down. Insurance companies typically have pre-negotiated rates in place at hospitals and with in-network providers. Governments also have pre-negotiated fees for care for those on government-provided health plans. Typically, consumers who are uninsured or underinsured are hit hardest by Charge Master rates, as they don’t get a pre-negotiated rate. But, with the recent move to healthcare policies with high-deductibles, even the insured are getting bigger bills than they might expect. Professional medical bill negotiating services have become a very popular choice for those who can’t or don’t want to deal with the stress of negotiating their own medical bills. Medical Bill Saver, for example, yields an average reduction of 25%-50% on many bills submitted for negotiation. In some cases, a percentage of the savings – typically about 30% – will be the fee you pay for the negotiation services. But employers can offer advocacy services to employees at a reduced flat fee, or at no charge for the service – as an example, :DP HealthNow offers unlimited, free medical bill negotiation services as part of their telehealth benefit package. To learn more, visit DPHealthNow.com.